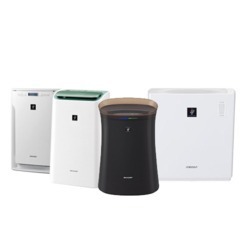 Providing you the best range of sharp air purifiers with effective & timely delivery. Plasma cluster ions are positive and negative ions that occur in nature. The effectiveness of plasma cluster as an air-purifying technology has been supported by test data, and plasma cluster is thus increasingly finding applications in various areas of activity, such as in businesses, in addition to household use. Plasma cluster provides you with natural and safe air. This unique technology from Sharp applies the power of nature.